Need to back up your virtual machines? 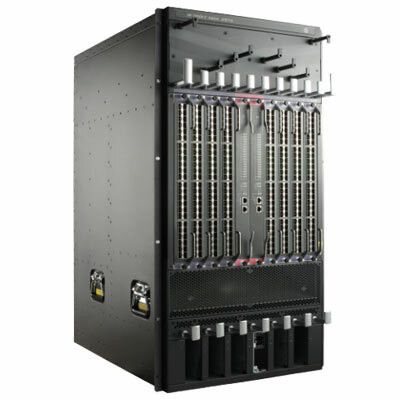 Altaro VM Backup is a fast, affordable, high performance backup solution, specially developed for small and mid-market businesses. Providing an agile, streamlined solution that is easy to implement, Altaro VM Backup is the natural choice for Hyper-V and VMware data recovery. Download a fully functional 30-day trial of Altaro VM Backup (Unlimited Plus Edition) or download the Free Edition, free forever, for up to 2 VMs per host. 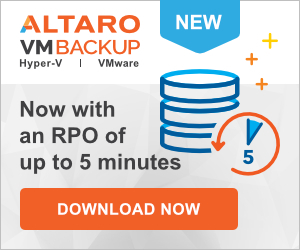 Visit https://www.altaro.com/vm-backup/download.php and see how easily you can securely back up your virtual machines. Principal Program Manager Lead at Microsoft and co-creator of Hyper-V, Ben Armstrong, answers questions on the next revolution in virtualization technology. Discover the amazing world of automation and get started automating tedious IT processes that slow down managed services practices. Learn how to grow your MSP by enhancing your customer success and growing your reputation as a reliable and trusted partner. Discover 5 lesser-known features and capabilities to unleash the full power of vSphere – all freely available on the Essentials Plus licensing level. Learn the tools and skills for the arrival of Microsoft Azure Stack and help transition your organization into the age of private hosted cloud. This webinar takes Hyper-V Administrators through the steps required to migrate to the VMware platform – an increasingly important skill for IT professionals. Learn how to migrate from Hyper-V to VMware, what the differences are between the hypervisors and get introduced to the basics of vSphere. This webinar runs down the WS2016 features which matter most for a typical SMB setup with a focus on those that provide significant differences, such as Nested Virtualization, Start-Order Priorities, PowerShell Direct, Node Fairness, and more. Windows Server 2016 brings its own set of licensing rules and guidelines. This webinar will help you understand: licensing a WS2016 environment; nested hypervisors and containers in WS2016; and understanding licensing complexity. implementing Hyperconverged setups with VMware VSAN. It’s no longer out of your reach! If you’re interested in VMware’s VSAN technology, this is the webinar for you! In this webinar you’ll learn what Ransomware is and common ways to protect yourself; case study examples of real-world infections and resolutions (and failures! ); and the role of backup in protecting against attacks. Learn all about Microsoft’s Nano Server Technology with Andrew Mason, Principal Program Manager working on the Nano Server team. This webinar features both planned discussions and questions from attendees. This session is geared towards VMware admins who are looking to broaden their horizons by adding Hyper-V know-how to their toolbox. You’ll learn about Hyper-V clustering, management differences, and migrating VMs from ESXi to Hyper-V.
Troubleshooting complex virtualization technology is something that system administrators have to face at some point, and it’s not always easy to get things up and running again. This webinar covers the most common problems experienced in VMware vSphere. How to setup Exchange 2013 and Exchange 2016 for application Impersonation for Veeam 7 guide.